Polycystic ovarian disease (PCOD) or polycystic ovarian syndrome (PCOS) is a hormonal disorder which causes enlarged ovaries with small cysts on the outer edges. 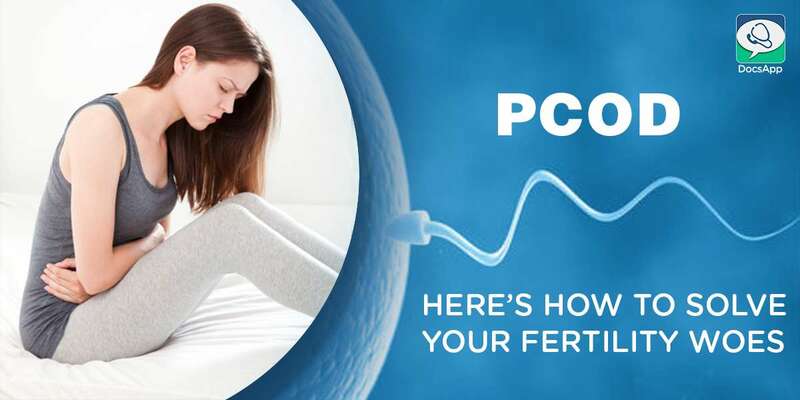 As a condition, PCOD disrupts the functioning of female hormones called endocrines, causing abnormal ovulation cycles. Patients display single or multiple symptoms without realizing the cause, and it is often the doctor’s job to ask the right questions to find if it is PCOD or something else. What are causes for PCOD? PCOD is commonly diagnosed among women with insufficient physical activity, coupled with eating habits that lead to weight gain. Some studies show that genetic reasons may lead to irregular periods. For instance, doctors say that PCOD/PCOS could be passed down from mother to daughter. The genetic cause for the condition, however, is still a debated topic. Can people with PCOD get Pregnancy? Women with PCOD are commonly haunted with doubts about their fertility. The rate of women who are infertile because of polycystic ovaries is very high. These people generally will have difficulty in getting pregnancy and require treatment to improve chances for pregnancy. Some women with polycystic ovary syndrome will release a mature egg (ovulate) occasionally and others do not ever ovulate. However, the good news is, PCOD patients can conceive if given the right medical treatment. What are treatments for PCOD? Treatments for PCOD are results-driven: they vary depending on whether the person suffering from PCOD wants to conceive or not. Commonly, people with PCOD are advised to take up lifestyle remedies- such as diets, and exercises. A diet, where one’s intake of carbohydrates is limited, along with prescribed physical activity, has proved in many cases to help achieve normal menstrual cycles. Reduction in weight helps immensely to achieve the desired results. Are there any Medical Treatments? Medications and hormonal injections aimed at inducing ovulation is a common approach to boost fertility inspite of PCOD. Invasive mechanisms using laparoscopy – laparoscopic ovarian drilling – is deployed in some cases to help resume normal ovulation. Here, parts of the ovary are drilled by a surgeon with an aim to reduce the thickness of ovarian walls. Success rates in this surgical technique varies between 20% to 40%. Intrauterine insemination (IUI), where the sperm is placed inside the mother’s womb to aid insemination, as well as in Vitro Fertilization (IVF) involving the manual or artificial combination of egg and sperm in a laboratory, are learned to improve success rates by 15% to 25% per cycle. In India, IUI treatment can cost upto Rs 20,000, while an IVF package is more expensive, ranging from Rs 50,000 to Rs 100,000.